This first installment of the Naval Campaigns series features a REALTIME game engine that allows the player to play against the computer or against another player (or players) online. 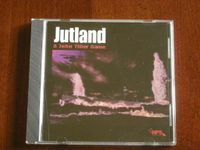 JUTLAND is a tactical battle simulation which models individual ships and capabilities. Twelve scenarios include the full battle of Jutland, smaller scenarios of different times of the battle, and an alternative history battle of Jutland. Bonus scenarios of Heligoland and Dogger Bank are also included.